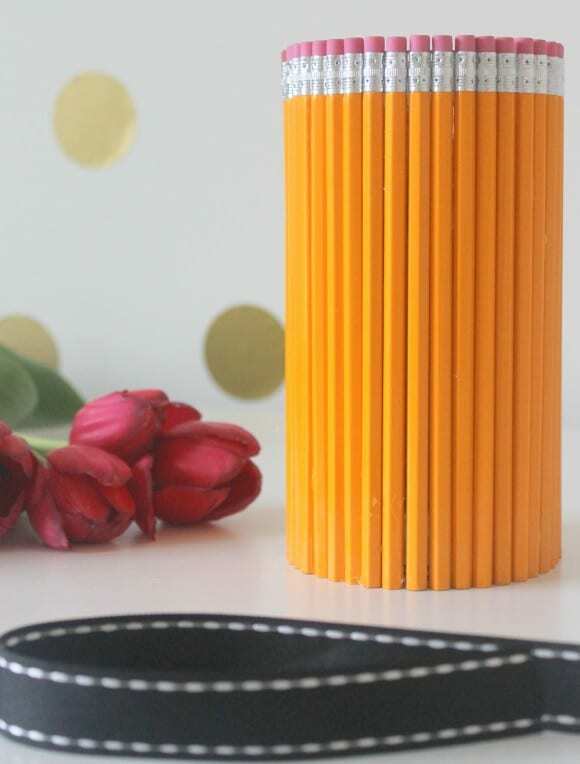 Today we are sharing a pencil vase DIY from Kristen and Missy from Sweetly Chic Events & Designs that would make a great end of year teacher gift or even a great back to school teacher gift. 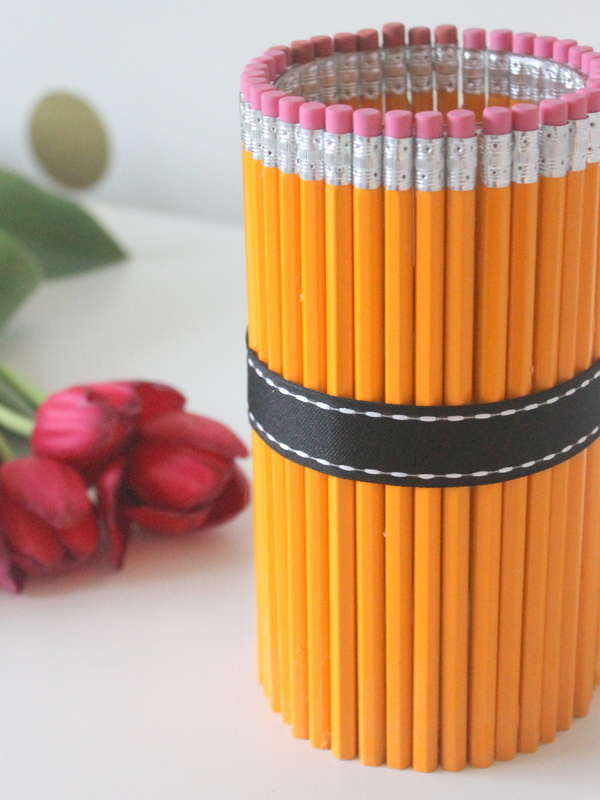 The end of the school year is quickly approaching, so we know you might be in need of a quick but darling DIY gift for that special teacher in your child's life! This pencil vase DIY is the perfect way to show you care and say "thank you!" in your own special way. 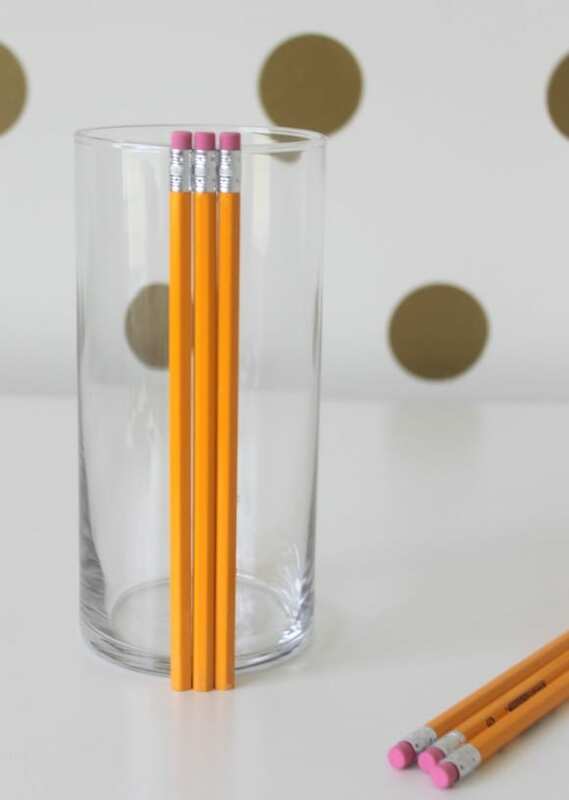 1 glass cylindrical vase. We found ours at our local Dollar Store! 1. 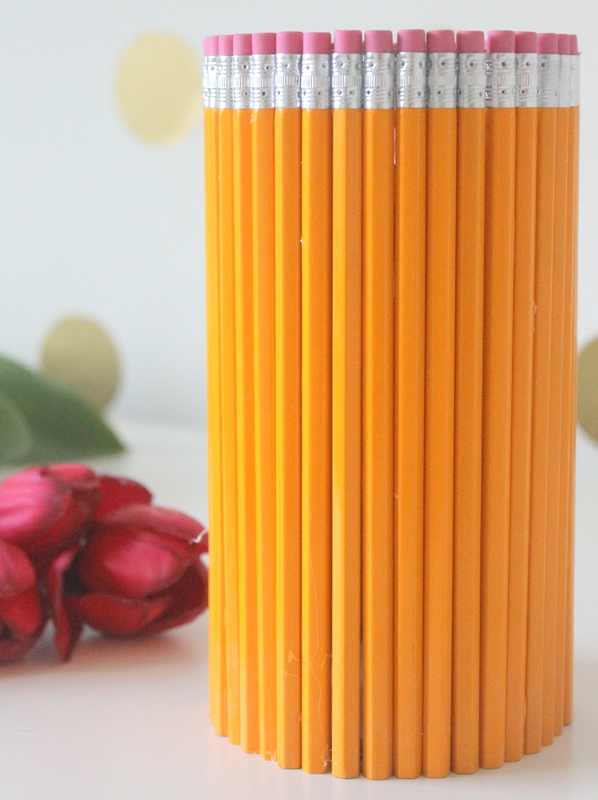 Begin by applying a thing line of hot glue to your pencil. Carefully vertically adhere the pencil to your vase. 2. 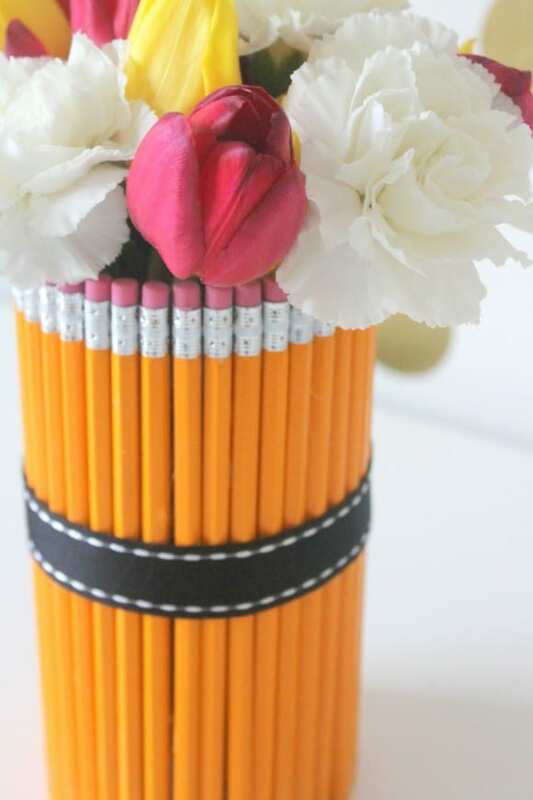 Continue to adhere the pencils until you have fully covered your vase. 3. 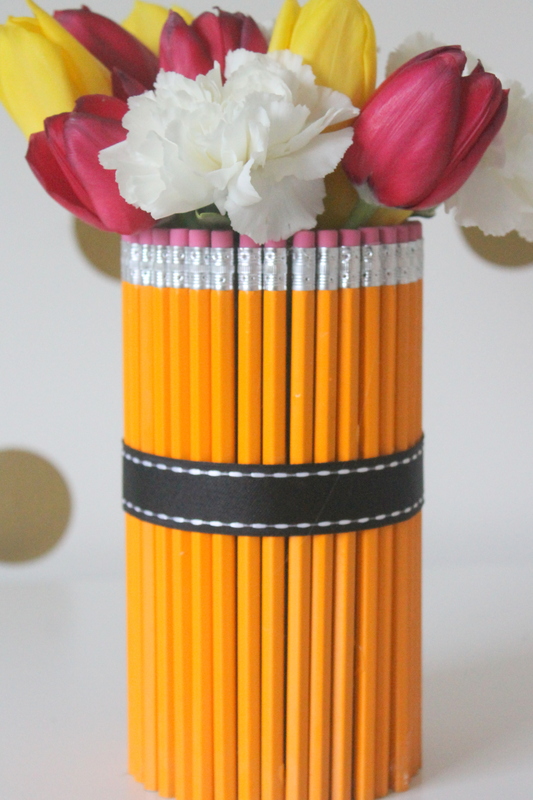 Next, take your chosen ribbon and wrap around the center of your vase. Attach with a drop of hot glue. 4. 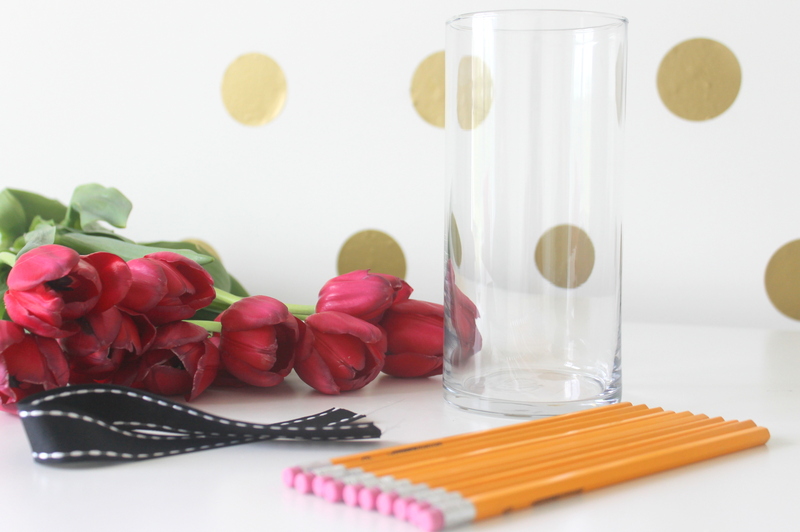 All that's left to do is fill your new DIY Pencil Vase with some beautiful fresh flower and your project is complete! 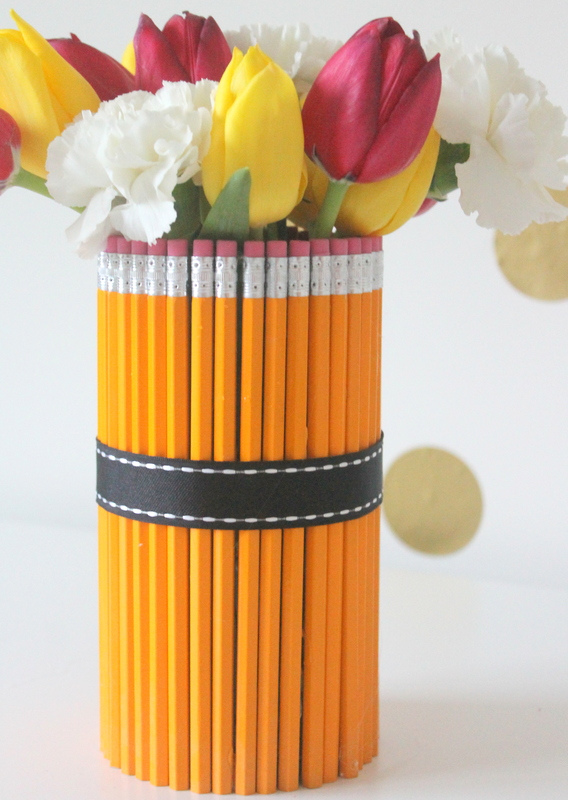 We just know that all the special teachers in your lives will be sure to appreciate this cute and thoughtful end of year surprise! For more inspiration, check out these amazing graduation parties from our site, and our free graduation party printables!